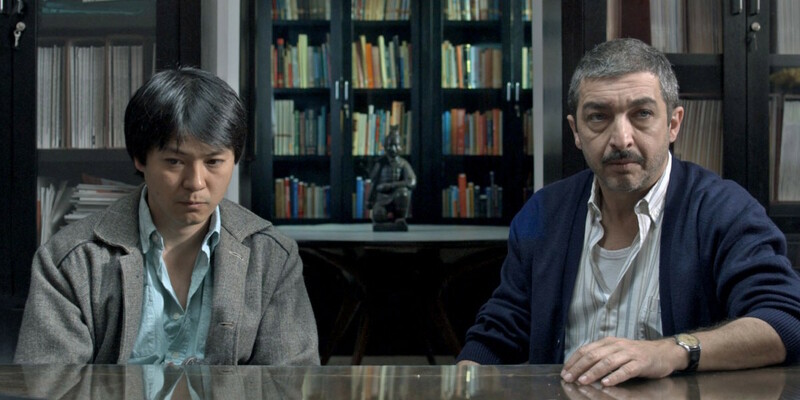 Argentina’s national treasure, Ricardo Darín, is best known for his intense dramatic performances in films such as Nine Queens, The Aura, and the Oscar-winning The Secret in Their Eyes, but his brilliant comic timing in this instant classic helped make Chinese Take-Away the biggest home-grown box office success of 2011 in Argentina. 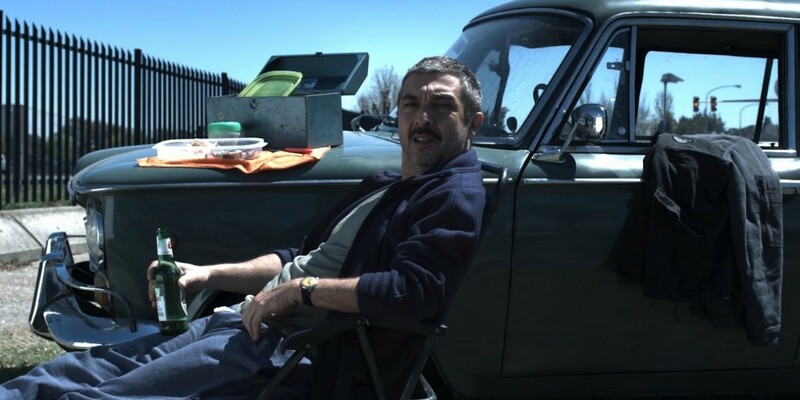 Darín plays Roberto, a gruff, anti-social loner who lords over his tiny hardware shop in Buenos Aires with a meticulous sense of control and routine, barely allowing for the slightest of customer foibles. After a chance encounter with Jun, a Chinese man who has arrived in Argentina looking for his only living relative, Roberto takes him in. Their unusual cohabitation helps Roberto bring an end to his loneliness, but not without revealing to the impassive Jun that destiny’s intersections are many and can even explain the film’s surreal opening sequence: a brindled cow falling from the sky. 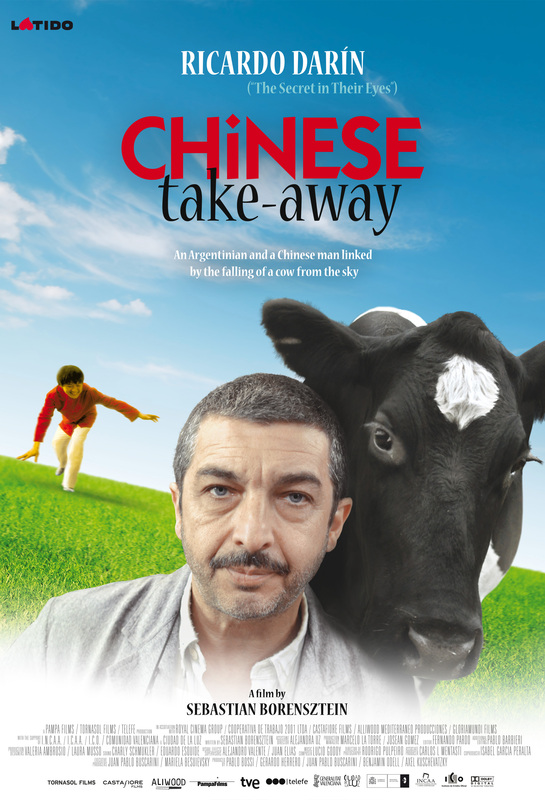 CHINESE TAKE-AWAY IS ONE OF THE MANY FILMS INCLUDED IN THE CATALOGUE OF SPANISH FILM CLUB. SFC AFFILIATED UNIVERSITIES CAN TAKE ADVANTAGE OF A SPECIAL PRICE OF $99 IF THE TITLE HAS BEEN INCLUDED IN THEIR SFC FESTIVAL. PLEASE CONTACT SFC STAFF AT FILMCLUB@PRAGDA.COM FOR MORE DETAILS. Prior to writing and directing Chinese Take-Away (Un Cuento Chino), Sebastián Borensztein co-wrote and directed Sin Memoria for Lionsgate Entertainment and Grupo Televisa. His previous film,La Suerte Esta Echada(2005) won numerous awards, including the New Filmmaker Award from the French Critics Society at the Toulouse Latin American Film Festival, and the Rail D ‘Oc prize for best screenplay and Audience Awards at the Trieste Latino Cinema Festival. Borensztein was one of the most successful and prolific TV producers, directors, and writers in Argentina. He created nearly a dozen TV series, including El Garante, which won four Martin Fierros and a nomination for the international Emmy. In 2000, Borensztein won the Konex award recognizing him as one of the five best directors of the decade in Argentina. That same year he created the seriesTiempo Final, which broke records for rating and has been transmitted in more than 50 countries. It has been sold to Fox Television for Latin America, and for remakes in Spain, Russia, and Israel among others.Tiempo Final was also nominated for an international Emmy.